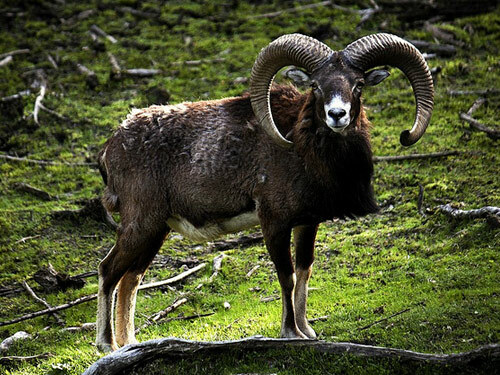 The Mouflon is thought to be one of the two ancestors for all modern sheep breeds. It is red-brown with a dark back-stripe, light colored saddle patch and underparts. The males are horned and the females are horned or polled. It is now rare, but has been successfully introduced into central Europe, including Germany, Austria, Czech Republic, Slovak Republics, and Romania.